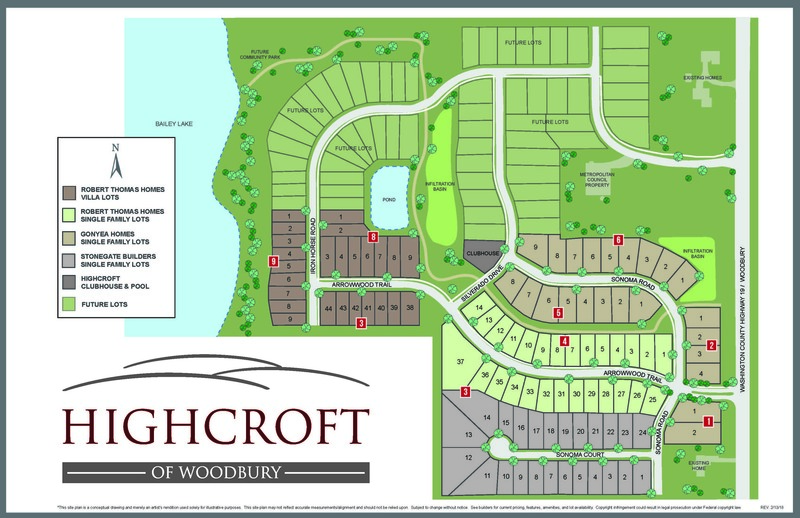 The Highcroft in Woodbury is a low-density residential development that features 159 units. At almost 90 acres, this development includes a clubhouse and pool, a 9.7-acre open space park with 6.1 acres of oak forest, a trail system that links the neighborhood to future planned agency trails, and an extensive stormwater system that provides outlet and overflow for an 1800-acre drainage area east of Woodbury Drive. Coordination and design of the truck storm sewer system through the site proved to be the biggest challenge for this project. Based on the City comprehensive stormwater plan, approximately 1800 acres of upstream developable land drains through the site. Our design had to provide an outlet and emergency overflow route for this large watershed through the Highcroft site. Alliant Engineering completed the site planning, surveying, engineering and landscape architecture design for the project. Due to the size of the site, The City of Woodbury required an EAW to be prepared by Alliant.